Our Football Friends programme called Any Old Irons, which is run in partnership with West Ham United Football Foundation, was shortlisted for Partnership of the Year at the Third Sector Awards last week. Any Old Irons was launched in 2015 to provide an opportunity, originally for local older men, to come together through their shared love of football. The five-week programme involves participants taking part in stadium tours, digital learning and story sharing. There are also opportunities to meet West Ham players – old and new. Three years on the programme has become a huge success and is now attended by both men and women. Sally McLachlan, Volunteering and Engagement Manager for Friends of The Elderly, said she was delighted the partnership had been recognised by Third Sector. She said: “We are absolutely thrilled to have been runner up for such a prestigious award. I want to say a big thank you to everyone who has helped make Any Old Irons a life-changing experience for so many people. Health Manager Maria Abraham, from the West Ham Foundation said: “Being a finalist was huge recognition for all the hard work we have done in partnership with Friends of the Elderly to ensure that the Any Old Irons programme is the success it is. “Watching the members of Any Old Irons develop in their confidence, personality and relationships with each other is extremely rewarding. By bringing together elderly supporters together helps us to combat loneliness across Newham and Tower Hamlets. 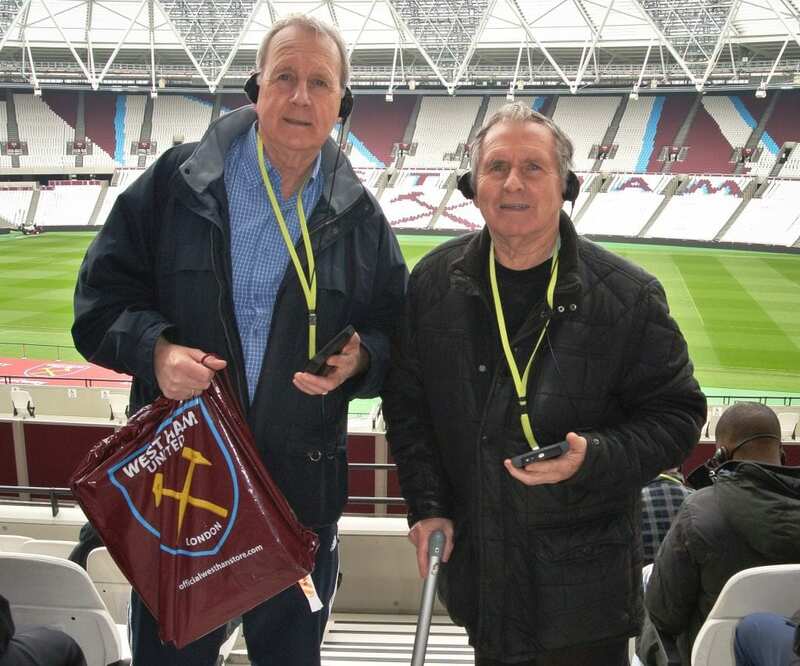 Any Old Irons member, Don Adams, said the programme had been a wonderful experience. He said: “This recognition is well deserved because the programme has brought so much joy to so many people. If you would like to find out more about our Football Friends programme, please email hello@fote.org.uk or call us on 0330 332 1110.